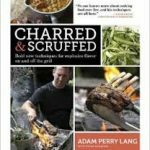 Adam Perry Lang, one of the world’s most renowned chefs and foremost expert on everything BBQ, has written and released his third cookbook called Charred and Scruffed, which features 280 pages filled to the brim with recipes and innovating cooking techniques. I am new to grilling and have to admit that I find the whole prospect intimidating. In the past, I have left the grilling up to someone else, but I LOVE grilled food. I love it! Living in Texas, it is almost mandated by the state to love grilling. 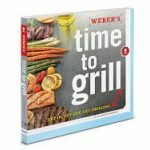 Tasty grilled foods are everywhere: family gatherings, game day celebrations, Sunday afternoons with friends coming by, and even restaurants all feature grilled foods as the main event. So when my sister-in-law up graded her grill and asked me if my husband and I wanted her old one, I just had to say “yes!” I mean it was free after all. Nice grills are expensive, and, newly married, my husband and I are just trying to recover from the cost of the wedding. Also, we are trying to build a group of mutual friends and get to know each other’s families better. What better way to do this, but by hosting cookouts? Alabama hosts one of the greatest BBQ masters of all time. 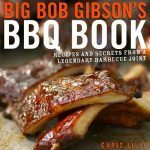 Chris Lilly is executive chef at Big Bob Gibson’s BBQ in Decatur, Alabama, a six-time winner of the World Championship BBQ Cook-Off, and has accumulated hundreds of other ribbons and titles including one of the greatest PitMasters of all time, all in the name of BBQ. Lilly’s Great Grandfather opened up a legendary BBQ join in Decatur, Alabama in 1925. Since then, legendary and now world-famous recipes and techniques have been closely guarded and passed down through the family business. The secret is out now and is in black and white for readers to absorb.